How to make Golden Apple Soda! link Download : GET FIZZY! 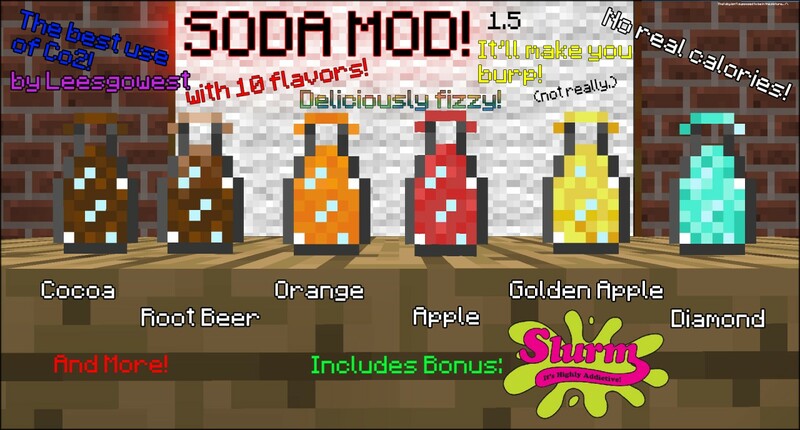 In this mod you can make soda, pop, soft drink, fizzy drink, or whatever else you call it! SOME RECIPES ARE EXPLAINED IN THE VIDEO. THERE WASN'T ENOUGH PICTURE SPACE. Orange - 4H (as suggested by thecheat400, T0XiczZ, and Excelar4. Make sure you have modloader installed! 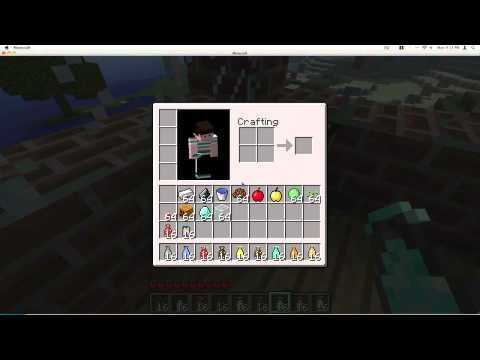 rename your minecraft.jar into minecraft.zip. Unzip it and copy all files in the zip file you downloaded inside. Zip it up again and rename it to minecraft.jar again. 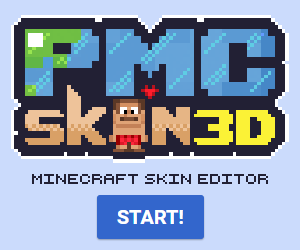 Can this work in 1.7.10 or is this just for 1.8? Can I please have the images? May I Continue It For You? Can You Make It For 1.0.0? i had diamonds and i made mystery one and it killed me!!!!!!!! I hope diamonds taste good! Or Pink lemonade with pink die and lemons! Lemonade With Lemons From Trees! If You dont Like It I can take it down, I wanted to do this cause I think your an awesome modder and I Love This Mod and Im Gonna Stick With it and I Hope You Like my Vid I Work out some more Technical Difficulties and sorted a few things with graphics and quality so this should be better! Leesgowest Its me again hope you remeber me And I see That You've Update your Mod with some new Soda's So Im Wondering If I Could Make another video of your soda mod, about your new drinks that you've added? what do yah think? Possibly but not with a slimeball because then that would be like "Apple Slurm", or something. There is probably a mod in there that has a conflicting item code. you should make a vending machine where random soda come out I think that would me cool!! isnt a dispenser the same thing? TNT soda? Make the Char explode he/she dies? this is very awesome mod! !Good job! who knows the secret one?? Make lemonn trees! get lemons! juice them and MAKE LEMONADE!!!!! That is my showcase on it thanks for the permission to do it! Thanks Guys! for your support! you should make nuka-cola from fallout. maybe use gunpowder for the ingredient. also you could do nuka-cola quantum, put a diamond with nuka-cola.